How do you defend a killing caught on video? 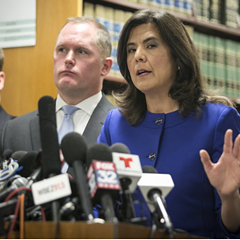 Lawyers talk shop on possible tactics for defending Jason Van Dyke. 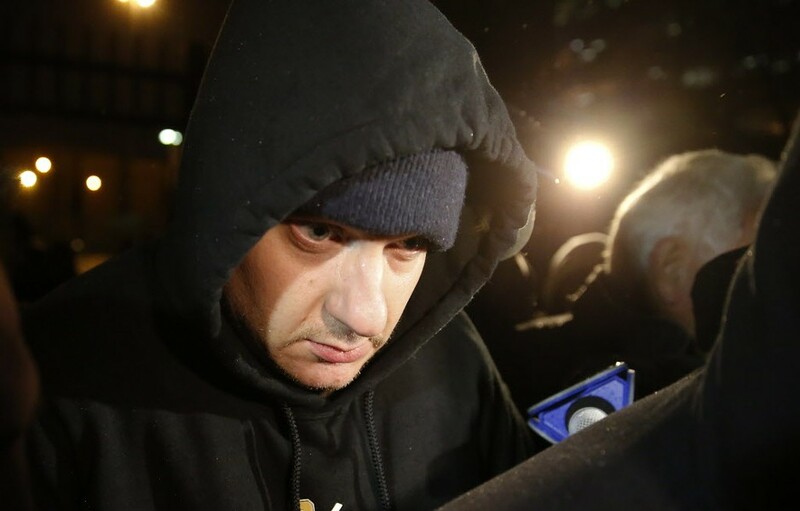 Jason Van Dyke leaves the Cook County Jail after posting bond in November 2105. 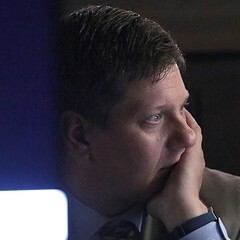 As the murder trial of Jason Van Dyke approaches, the prosecution and defense teams are still in the process of gathering evidence to build their cases. At Van Dyke's next court appearance, scheduled for Wednesday morning, judge Vincent Gaughan could decide whether to allow Van Dyke's attorneys access to Laquan McDonald's juvenile records. 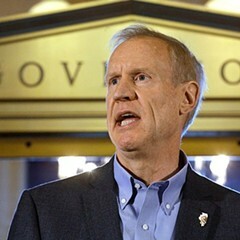 But all parties connected to the trial—including court staff, potential witnesses, Van Dyke's attorney Daniel Herbert, and special prosecutor Joseph McMahon—remain under a strict gag order prohibiting them from discussing the case with the press. 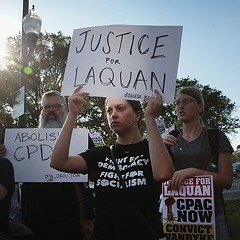 Still, many in Chicago are wondering what defenses are left for someone caught killing on video. So the Reader decided to talk to three prominent Chicago criminal defense attorneys about what strategies they'd use if they were defending Van Dyke. 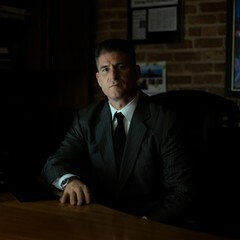 Sam Adam Jr., Edward Genson, and Todd Pugh have experience with countless murder trials, as well as defending everyone from crooked politicians to white-collar fraudsters to R. Kelly. And the most important thing to keep in mind, Pugh cautions, is that "the vast majority of criminal cases are not 'who done it?' but more of 'who done what and what exactly did they do?'" Sam Adam Jr., who defended both R. Kelly and former Illinois governor Rod Blagojevich and has routinely been recognized as one of the top trial lawyers in America, says, "It's obvious what's coming here is gonna be self-defense." "With self-defense, like no other defense, it's not what actually occurred, but what was in the mind of the person that did the conduct," Adam explains. This is where McDonald's juvenile records—which document the teen's mental health problems, drug use, and a childhood marred by trauma and abuse—will be key. "When it's a question as to who was the aggressor, you're allowed to . . . use things that the shooter did not know," such as a history of the victim's actions and attitudes, Adam says. "The defense has the right to say: 'He's been an aggressor before, [the juvenile records] will show you he will be that type of person.'" The jury would have to weigh McDonald's history of behavior as depicted by those records against Van Dyke's claims that he felt a threat of harm to himself or others. "From what I saw on that tape, just as a human being, I did not see it as self-defense," Adam concludes. "But there may be things that I don't know." He adds that the defense will need to prove many minute details that aren't clearly discernible on the tape, such as the now widely accepted fact that McDonald was holding a knife. Edward Genson, who has been called the "dean of Chicago criminal defense attorneys," was also on R. Kelly and Blago's defense teams, and previously represented media mogul Conrad Black as well as many a mobster. In thinking over Van Dyke's case, he focuses on how it might be possible to justify the 16 shots that so horrified the public. "I don't think that the fact that there were that number of bullets fired indicates as much as people think it indicates," Genson says. "What really came out to me is the kinds of guns these guys carry. The fact of the matter is you sit there and press on the trigger and a lot of bullets come out." The attorney says he has had success in defending a client who had stabbed his wife 15 times by having a psychiatrist testify that the action became automatic in the adrenaline-fueled heat of the moment. The defense here could similarly dispute that Van Dyke fired his gun so many times out of malice. "People start an action and they're excited, they continue to go on with the action," Genson says. "It was an automatic response," he says they could argue. 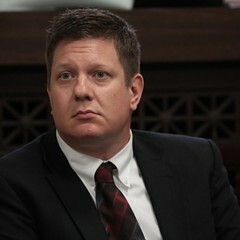 This defense doesn't address whether Van Dyke was justified in firing the first shot, Genson adds, but it could help paint a more sympathetic picture of the officer. Todd Pugh, who has represented many defendants charged with violent crimes and was on the defense team that overturned the wrongful conviction of Rolando Cruz, says ultimately the most important moment of the trial might be the jury instructions. "Under the law, if there's evidence to support it during the trial, juries are to be instructed on considering lesser offenses," Pugh explains. Even though Van Dyke is facing six counts of first-degree murder—meaning he intended to kill and had no lawful justification—the jury could find that the mitigating factors presented by the defense attorneys tip the scales enough to warrant only a second-degree murder conviction—meaning he intended to kill and had no justification, but was acting out of passion or under the impression that the killing would be legally justified, no matter how unreasonable that belief might be. "I think there are some jurors that would be persuaded that in the split second that decisions are made," Van Dyke could have been under the impression that he was in danger, says Pugh. "We've all seen the tape—the tape looks like a freakin' execution. But I'd expect the argument to be that the tape doesn't capture everything that's going on." Pugh says that he knows Van Dyke's lawyer Herbert very well, and describes him as an excellent lawyer. "I think he has a tough case in front of him," he says. "But then again there aren't many murders that aren't tough cases for defense attorneys." The audio show explores every perspective of the high-profile case.